Bewley's Hotels Blog: Bewley's Hotels Facebook Fans Specail Offer! Bewley's Hotels Facebook Fans Specail Offer! Bewley’s Hotels are all set for the May Bank Holiday Weekend and would like to offer the excitement by offering all of our Facebook fans a last minute special rate starting from €50 Room Only. This offer is to celebrate the start of the summer season and the May Bank Holiday Weekend it is only available this weekend and is subject to availability. 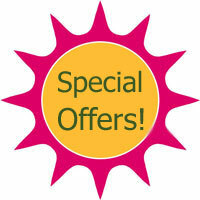 You must contact the individual hotel directly by phone and quote "Facebook May Bank Holiday Weekend Special Offer". Terms & conditions apply. This offer is based on a room only rate with a maximum of two people sharing and additional supplement of €10 will apply for an additional third person. This offer dose not include breakfast. This offer is vaild for stays from Friday 5th May 2012 to Monday 7th May 2012.